One of the most amazing things in Santiago a Mil was the street show DUNDU–two massive light-up puppets that were created in Germany and have been appearing at events and festivals around the world for several years. 1. A great article with even more awesome photos about our friend Mirek Trejtnar who runs the Puppets in Prague marionette-building workshops. Read it if you’ve ever been curious about how to make a marionette. 2. Some advice from Jim Henson, rendered in brilliant comic form by Gavin Aung Than. Read it for inspiration–we keep it handy in the studio for when motivation is needed! 3. Genna discovered this article about an artist performing with puppets in the New York subway. 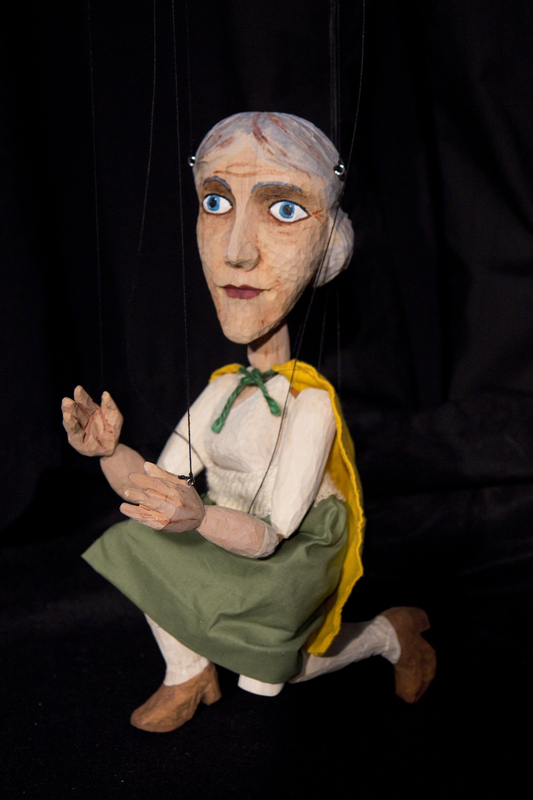 I don’t think I’ve ever seen anyone perform with a puppet in the DC metro–have you? 4. An article and video from Sandglass Theater of Vermont about their recent experiences performing in Cuba. Their work is a huge inspiration to us and well worth a look. 5. NPR has a weekly podcast called Pop Culture Happy Hour and recently one of the discussion topics was fairy tales. It’s not exactly the kind of stories we’re working with for Malevolent Creatures but still interesting and fun to listen to.